Tommy Morrison joined the original Houston Chapter of Safari Club International in the early to mid-1970’s. Through the years, he has served as president, director, and served on countless club committees for the Houston Chapter. Tommy was instrumental in greatly increasing the auction income each year during the chapter’s annual fundraiser/auction, which at that time, were only single night events. When Houston Safari Club detached from Safari Club International and established the Houston Safari Club, Tommy became the first Convention and Banquet Chairman. This expanded the Convention from a single night event to multiple days and produced exhibitors from all around the globe. He again served as director, auction chairman, and served on various club committees, taking on other convention duties and later becoming president of the now Houston Safari Club. Second to only Jerry Henderson, Tommy has attended more director’s meetings than any other member to date and has remained extremely involved in the Club’s functions. Tommy’s first safari to Africa was in 1976 where he fell in love with the adventure, the hunting, and camaraderie around an African campfire. Since then, he has traveled to Africa many times not only to hunt, but to review and critique the African outfitters that he represents. With almost 30 years of experience as a hunting consultant and owner of Sporting International, Tommy specializes in African Safaris. He has hunted, fished and photographed in more than 15 foreign countries and throughout Alaska, Canada, and Western United States. Tommy has personally obtained well over 50 species of African animals. The Big Five of Africa, 3 of the 4 Grand Slam of North America Wild Sheep, and over 20 of the 28 species of North America Big Game. 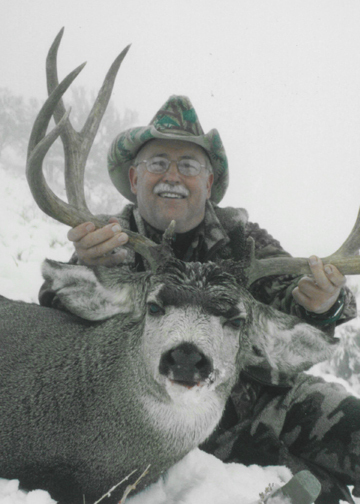 His goal in hunting has never been to see how many different species he could shoot, but to enjoy the sport of hunting and the experiences it brings while hunting selective species in the areas they occur.